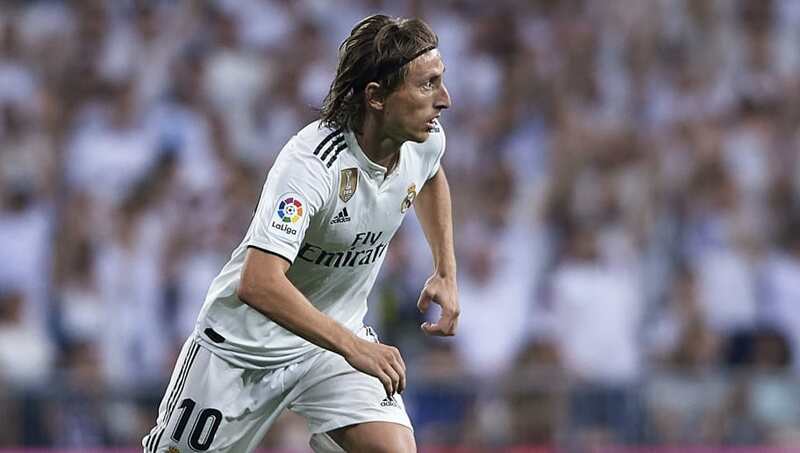 ​Real Madrid midfielder Luka Modric has been crowned Best FIFA Men's Player for 2018 at the annual FIFA gala held in London, beating off competition from former Bernabeu colleague ​Cristiano Ronaldo and 44-goal Liverpool superstar ​Mohamed Salah. Modric has enjoyed a stunning year, winning a fourth Champions League title with Real and later captaining Croatia to the final of the 2018 World Cup, for which he received the Golden Ball as the tournament's best player. Only last month, Modric was the winner of the UEFA Men's Player of the Year award. The 33-year-old is the first Croatian player to win either a global FIFA award and is only the second from Croatia to even place in the top three after national hero Davor Suker in 1998. Modric's success will now make him favourite to also win the Ballon d'Or in December. Earlier on the night, Brazil superstar Marta was presented with the Best FIFA Women's Player award in recognition for her fine form for club and country. Marta, now playing for Orlando Pride, previously won five consecutive Women's FIFA World Player of the Year awards from 2006 to 2010 and steered Brazil to Copa America glory this year. Elsewhere, it was a French double on the coaching front. Didier Deschamps won the Best FIFA Men's Coach award in recognition of guiding France to only the country's second ever World Cup triumph during the summer, while Lyon's Reynald Pedros won the Best FIFA Women's Coach award. In winning the World Cup, Deschamps joined an elite group of men who have lifted the trophy as both a player and coach alongside Mario Zagallo and Franz Beckenbauer. Massimiliano Allegri, Stanislav Cherchesov, Pep Guardiola, Jurgen Klopp, Roberto Martinez, Diego Simeone, Gareth Southgate and Ernesto Valverde had featured on the original shortlist before it was cut to a final three for the ceremony. Pedros was just as successful, as he guided his side to a league and UEFA Women’s Champions League double - with the club going unbeaten in the domestic season. His side also reached the Coupe de France Feminine final.